Sprinkle potatoes with cilantro; toss to coat. Using olive oil will change the flavor a little, but it’s an excellent substitution for the butter. If you don’t have small red potatoes, cut unpeeled russets into 1 1/2-inch pieces; you’ll need about 3 cups. 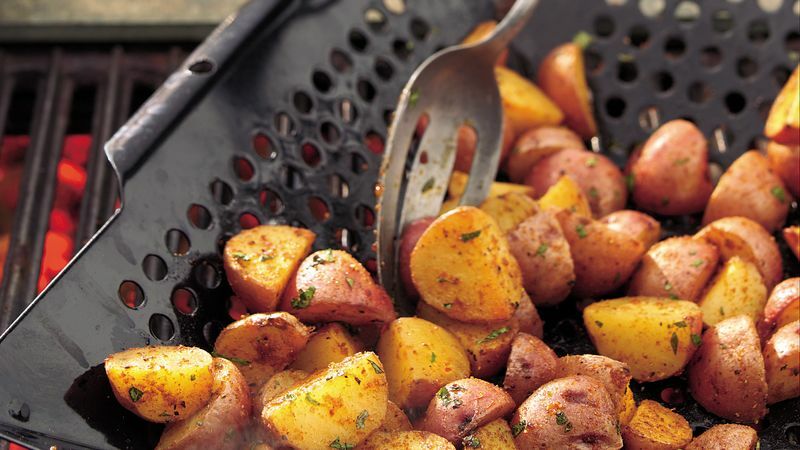 Shake the grill basket often to “stir” the potatoes so they cook evenly and don’t burn.